Does Cannabidiol (CBD) Actually Help Anxiety? Are Foods Addictive or Just Delicious? Myth or Fact? Cutting into the brain of an awake patient directly results in agonizing pain. We make neuroscience accessible to anyone interested in learning about the brain! Delve into the mind via stories, infographics, interviews, and more! All information found on the Knowing Neurons website is intended for educational and informational purposes only. Any scientific and medical information found in Knowing Neurons content (including but not limited to articles, videos, and illustrations) should not be interpreted as medical advice – and as such, they should not be used as a substitute for professional medical advice. Links provided in Knowing Neurons content are only intended as resources for convenient research, and as such, Knowing Neurons is not responsible for these links nor the content they encompass. Third Party Content: Knowing Neurons partners with various educational affiliates to provide a wide range of educational content for our combined audiences. Knowing Neurons is not responsible or liable in any way for Third Party Content or the use of the information provided in Third Party Content. Additionally, Knowing Neurons does not assume the responsibility to update or review Third Party Content that is shared on our website. Third Party Content also does not necessarily reflect the views or opinions of Knowing Neurons. 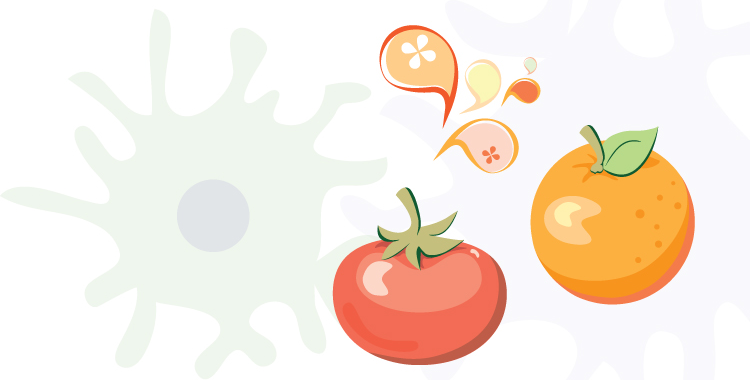 Tangerines, Tomatoes, and Neuroinflammation! Oh My! What Happens If You Stick Your Head in a Particle Accelerator? This work by Knowing Neurons is licensed under a Creative Commons Attribution-NonCommercial-NoDerivatives 4.0 International License. Copyright © 2019 Knowing Neurons. All rights reserved.